Heating your home with baseboard radiators can provide efficient warmth during cold winter months. As you plan to install baseboard radiator heating to a room, you must determine the heating requirements for the room to determine what size radiator you need. The climate in your area is a significant factor in the size radiator required. Size a room for baseboard radiator heating to ensure effective warmth in your home. Measure the length of the wall where you wish to install the baseboard radiator. Measure the length and the width of the room and multiply these dimensions together to find the area of the room. For example, if the length measurement is 25 and the width measurement is 15, this equals 375 square feet. Use these BTU standards for U.S. regions to figure the BTU per hour (BTUH) for your region: New England, New York City south to Philadelphia and Upper Midwest, 40 BTU; from Philadelphia to Washington, D.C., 35 BTU; and from Seattle to Portland, 25 BTU. Multiply the BTU standard for your region by the area of the room. For example, if your BTU standard is 40 and the area is 375, your BTUH requirement is 15,000. Divide the BTUH requirement by the length of the wall to find the BTUH per foot requirement. Using the same example, 15,000 / 25 (length of the wall) = 600 BTUH per foot. Purchase a baseboard heater with a BTUH per foot rating that is within 10 percent higher or lower than the BTUH per foot you calculated. What Is a Broadloom Meter? What BTU Air Conditioner Do You Need? 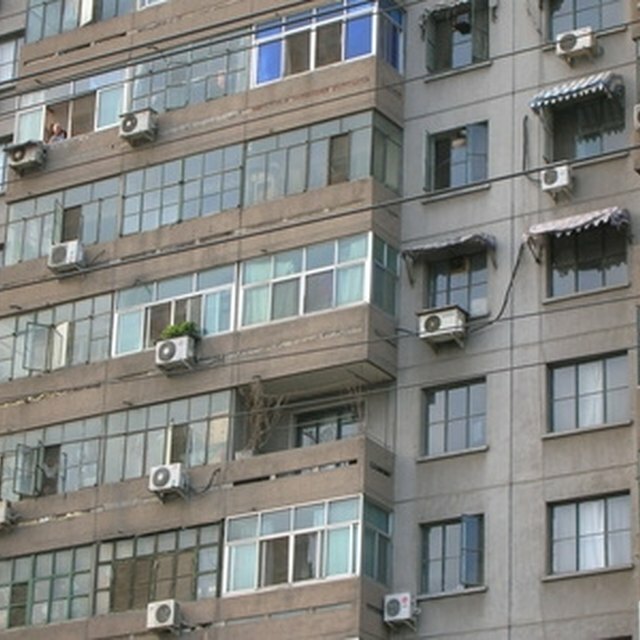 How Much Space Does a 12,000-BTU Air Conditioner Cool?